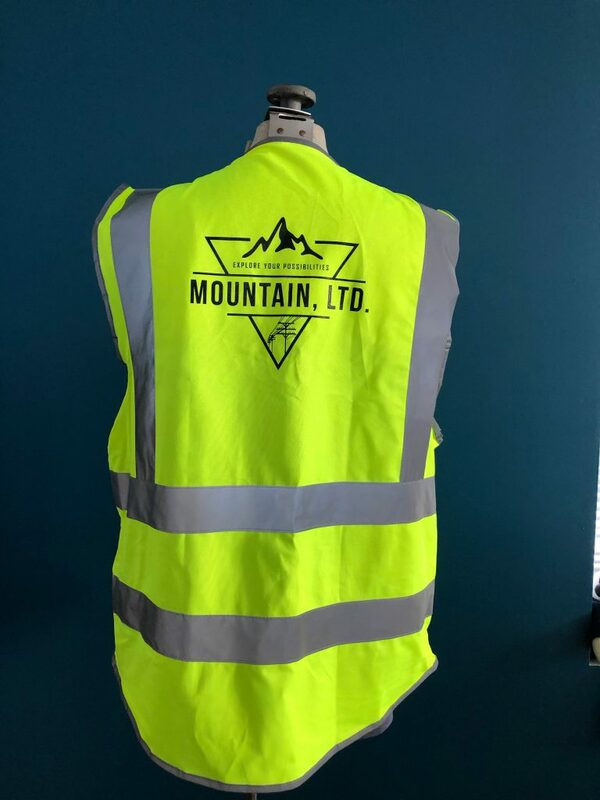 Safety Vest - MOUNTAIN, LTD. 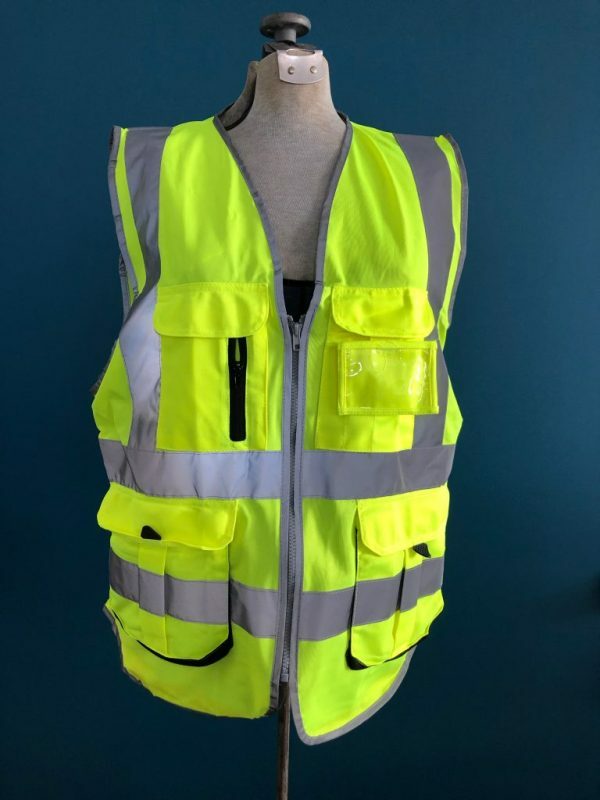 Engineers working in the field need to be visible. Stay bright with a MOUNTAIN safety vest. Equipped with multiple pockets, ID badge holder, and navy blue custom screen print.